Tenerife Licita, the platform of public-private collaboration born at the end of 2014 and in which the Island Council participates through Tourism of Tenerife and the Chamber of Commerce, Industry and Navigation of Santa Cruz de Tenerife, has promoted in the first six 2017 months a total of 218 business opportunities. This figure demonstrates the importance of this tool in the internationalization of island companies through their participation in competitions abroad. According to the president, a project like Tenerife Licita not only supposes another window of visibility and knowledge of the Island “but indirectly it contributes to attract business investment and also tourism”. On the other hand, the insular councilor of Tourism, Alberto Bernabé, explains that, thanks to this work, “we have contributed to that Tenerife companies achieve international contracts, as it is the case of the Technological and Renewable Energy Institute, which has recently achieved one in Madeira (Portugal), which is joined by the current negotiation of others in Latin American countries, in addition to being prequalified in tenders of several multilateral organizations “. The counselor reminds that the partners of Tenerife Licita have 25 years of average experience, more than 1,800 employees, a cumulative turnover of 25 million euros and experience in more than 30 countries. In addition to the 218 business opportunities identified and disseminated among its partners in these six months, the platform has resolved 74 queries related to the bids and organized training for partners in the field of bids, meetings, conferences and business missions. Thus, it has developed an inverse mission with Colombia and Peru with the objective of fostering strategic alliances and a working day with the Ambassador of Côte d’Ivoire in Spain. Tenerife Licita has also participated in the first half of the year in activities such as the Water and Tourism Forum together with the heads of the governments of Cape Verde, Mauritania and Senegal; in a multilateral partnership of the ICEX in Colombia or in the PSLOs of the World Bank in Budapest (Hungary). A direct prospecting mission in Agadir (Morocco); the participation in a conference on business opportunities in the United Nations agencies or in another on infrastructure and sustainability -in both cases organized by the ICEX-, have completed the activity so far this year. For the next few months, Tenerife Licita plans to continue with its activities, among which are a prospecting trip to Cape Verde or participation in meetings such as the Energy Mission in Washington and Africagua 2017. Since its creation, just over two and a half years ago, Tenerife Licita has identified and disseminated 1,331 business opportunities, resolved 415 queries and organized or participated in more than 30 training sessions, trade missions, conferences and networking meetings. 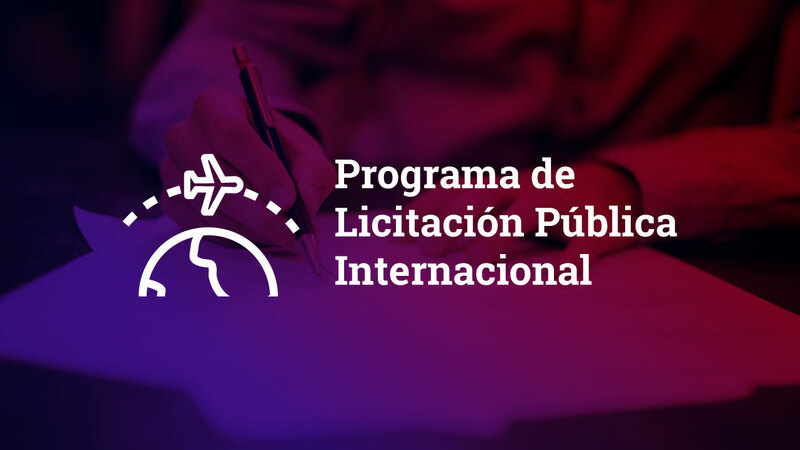 All this has resulted in the presentation of proposals for more than 70 projects, the obtaining of four contracts and the presence in 10 international consortiums through six companies of Tenerife Licita. Tenerife Licita counts among its partners companies in the architecture, construction, strategic management consultancy, software development and systems implementation, renewable energies, civil and airport engineering, industrial engineering, integration of people with disabilities, milling, territorial planning , infrastructure and sustainability, energy solutions, tourism, urban and interurban transport, rail and road. Of the total of 19 companies that compose it, 13 are private: Cabrera-Febles Architecture, CanBe Atlantic, Cetecal, CMN Engineering, Galileo-Maggioli, Hidrotec Wastewater, IRCARE Engineering Services, Plan B Group, Proyectran, Syocsa-Inarsa and Tagua . The remaining six are public: Gesplan, ITER, Metropolitano, Sinpromi TITSA, and Turismo de Tenerife. The team of professionals of Tenerife Licita offers personalized support and accompaniment in all stages of the process, as well as financial support, accelerating and strengthening the process of international business development of each of its partners. Their services range from the search for personalized business opportunities to assistance in writing expressions of interest and commercial and institutional support.